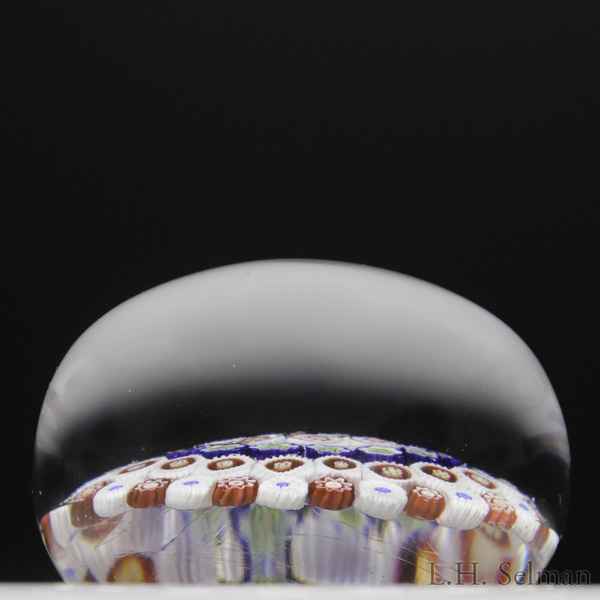 Antique Baccarat close concentric millefiori paperweight. A central arrowhead cane is encircled by four concentric rings of closely packed millefiori cogs, stardust and florets in red, white, blue and green. Clear ground. From the C. Frank Kireker Collection. Diameter 2 1/2".